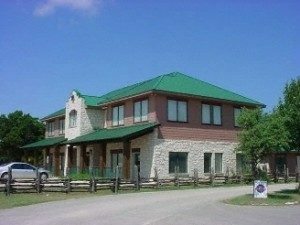 Business Expansion in Dripping Springs | Dripping Springs Estate Planning Attorney - The Daniel Law Firm, PLLC.Business Expansion in Dripping Springs | Dripping Springs Estate Planning Attorney - The Daniel Law Firm, PLLC. Dripping Springs has seen a lot of business growth in recent years, with a number of businesses moving into the town from other municipalities around Austin, according to the Austin American-Statesman. Notably, a number of beverage makers and hotels have moved into the community, citing business-friendly regulation in the city. With the Dripping with Taste Festival coming up, it certainly seems that Dripping Springs is becoming a destination, both for businesses and individuals. After some tough times, has your financial future seen an improvement in recent years? Speak with an experienced Dripping Springs estate planning attorney about protecting the future of you and your family. The Austin area has seen a significantly lower unemployment rate than either the Texas state unemployment rate, or the national rate. For many families here in Dripping Springs, things are improving significantly. One of the things that this means is that, while perhaps a few years ago, families may have had to focus on weathering the storm, many families can now go back to planning for the future. Whether that entails setting money aside for the children’s college education, retirement savings, or general investing, it never hurts to have some help. If you are looking at planning for a brighter future, contact a dedicated Dripping Springs estate planning attorney today. Brian Daniel has helped numerous people to ensure that their financial future is as secure as possible, and that their family will not be burdened with expenses after their own passing. An experienced Dripping Springs estate planning attorney like Brian understands that estate planning is about more than preparing a will, but that it also involves ensuring the financial security of your own future. For more information, contact The Daniel Law Firm, PLLC. today at (512) 270-7070.